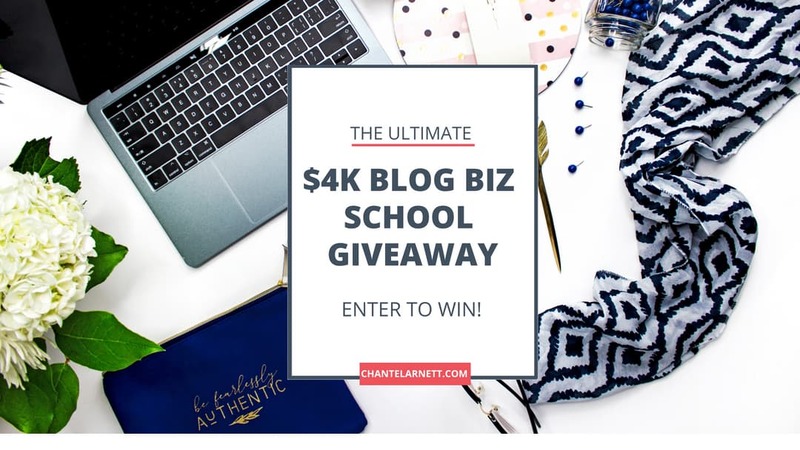 The Ultimate Blog Biz School Giveaway is ready to share and you can enter for your chance to win right here, starting on Friday, July 7th! This bundle contains the BEST premium blogging courses, products and services (MANY of which I have personally purchased or used). We get to make someone’s day/year/decade because one lucky blogger or online business owner will win ALL of these extraordinary products and services (a $4,000+ value)! Want to learn more about this ultimate money-making, blogging bundle? Seriously, this bundle contains ALL of my very favorite blogging and online business courses plus services, subscriptions and more. I’m so excited for the winner! ​Having trouble managing and planning buckets of Social media content? ​Viraltag is an ​intuitive Social Media Marketing tool built ​to help you do this with ease! ​You can manage multiple social networks (Facebook, Pinterest, Instagram, Twitter, Tumblr & Linkedin), schedule unlimited posts, automatically recycle evergreen content, collaborate with your team, and analyze performance – all from a single dashboard. 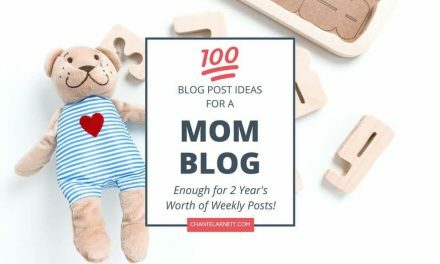 ​Use this coupon code “chantel2mths” to get any of our monthly plans (Blogger or Individual) free for 2 months! Get started with a 14 day free trial right here! Learn how Michelle from went from $0 in affiliate income to over $50,000 per month. Are you a blogger but unsure of how to make money online? Or, maybe you’ve been blogging for awhile but haven’t had much luck with affiliate marketing. Making Sense of Affiliate Marketing is a step-by-step guide to creating and making money from your own successful affiliate marketing strategy. This course explains all of the ins and outs, so you are never left wondering where to go next when creating and implementing your affiliate marketing strategy. Everything you should’ve learned in school, but didn’t. Each month, you’ll get a new e-course that’s designed to help you grow a new, actionable skill to start building your empire. Each course has about 60 minutes of masterclass content, a detailed workbook to help you put it into action, curated videos and articles to help you deepen your understanding and a monthly mastermind call to talk about the new course. Learn more about The Empire Builder Academy here. Feeling totally overwhelmed just trying to keep track of your business, your clients, your projects, and, you know, your actual life (Family? Friends? Remember them? )?If you’re ready to grow your business and organize your life, you need Think Creative Collective’s Trello for Business course! This video course will show you exactly how to manage your creative business, blog, and workflow (whether you sell products or services), plus help you stick to all your commitments as a real human person, by using Trello. Do you need help with branding your business or creating your website? Jessica from Skorich Designs is here to help! Our grand prize winner will have her choice of a website design package (up to 10 pages) or a custom branding package (worth $1,500). Getting visitors to your blog doesn’t have to by a mystery. There are tried and true methods you can implement to guarantee eyeballs on your content! Traffic Transformation dives into 21 strategies Lena Gott used to grow her blog WhatMommyDoes.com to over 400,000 monthly visitors in 10 months. Is this LadyPreneur ready to make a unique mark with her branded images? You have started out on Instagram and still not the feel that you like! The Fashionista Social Media Graphic Design (Valued at $57 for pack of 5) from JuliVAGlobal, is perfect for the LadyPreneur who is ready to showcase her Chic branded images on all her social media platforms. Stand out on the social media “Runway” with your Chic branded images today! Do you want more real, engaging followers? If you win, Social ﻿﻿Maggie will spend 2 hours locating and engaging your target market on Instagram! Once completed, you’ll see an increase in reach, engagement, followers, likes, comments, and more! Matt McWilliams’ Affiliate Promo Prep Mini Course is an 8-part course that takes you through everything you need to know to prepare for your next affiliate promotion. From setting promotional goals to creating your promotional plan and warming up your audience, this course will help you CRUSH your next promotion. Course includes 8 videos, plus audio downloads of each lesson. Email Lists Simplified is about having an email strategy – not just ideas to grow your list. The course helps you create killer opt-in, a plan for growing your list and a series of emails that introduces your subscriber to your service, product or brand in the most unforgettable way. Develop an action plan for your website’s content and digital strategy with Chris Milton in his Content Marketing Bootcamp. Instead of just figuring out what to blog about next, understand how to create content that impacts your entire business including sales, marketing and customer service. You can’t sell anything online without a rock solid sales page, but where do you begin? That’s why you need The Sales Page Kit — a 2-part system that walks you through the process of writing a high-converting and totally fun sales page. The Sales Page Kit is made up of 2 foundational workbooks. Inside each workbook you’ll find the specific worksheets you need to plan and write all of your sales pages from start to finish. You’ll learn how to find out how to structure your sales pages, how long they should be, and what information you’re supposed to put on them. You’ll get a step-by-step writing process so that you’ll never get writer’s block or feel overwhelmed (I’m all about efficiency. Work smarter, not harder!) And you’ll finally figure out how to address your reader’s hesitations and turn a “no” into a “HELL YES” without sounding like a creepy door-to-door vacuum salesman. 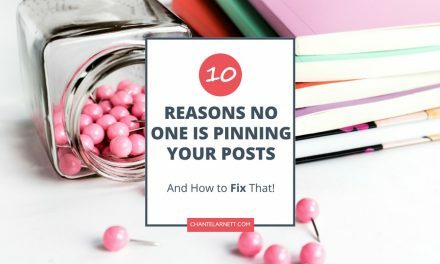 Want to finally get a piece of that Pinterest traffic everyone keeps talking about? 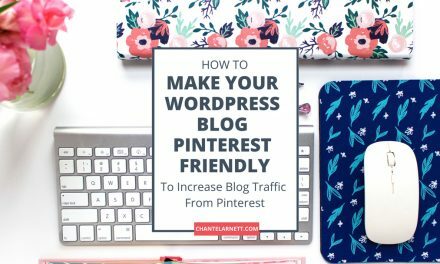 If you are ready to maximize your traffic, subscribers, and income from your blog, then you need Pinterest to Profits ($197). This step-by-step course guides you through 47 videos, tutorials, checklists and worksheets to help you implement McKinzie from Moms Make Cents’ proven Pinterest strategy. Everything from setting up Rich Pins to profiting from your first Pinterest Sales Funnel, Pinterest to Profits has you covered. Plan out and execute your first profitable online course or digital product launch (the easy way!) with the Launch It Right! Bundle. This collection of video trainings, swipe files, templates, email copy, and exact launch plans is designed to give you exactly what you need to plan out your profitable first launch gaining you authority, customers, and revenue! Most importantly, the Launch It Right! Bundle will show you how to do it all without feeling overwhelmed or stuck at any point. Don’t waste time trying to “piece together” a launch plan from scratch without the Launch It Right! Bundle. Are you tired of setting goals that you never actually achieve? The Slay Your Goals Planner asks you all the right questions so you can take all the right actions to achieve your goals. More than just a “planner,” each of the five chapters has one-of-a-kind worksheets to help you set your intention, choose you #1 goal, plan your year, crush your to-dos and review your progress. Simply put, the SYG Planner is the ULTIMATE tool for achieving your goals. The DIY Content Empire Kit walks you through creating a results-focused content strategy AND the systems you’ll need put it into practice. Best part about it? You can complete the training, create your strategy and set up your systems in a day or even less – meaning that you can start reaching your business and content goals RIGHT AWAY. HOW SUZI MADE $53,000 IN HER BLOG’S FIRST YEAR. Income Journey shares month by month details of what she did to make my income grow to thousands per month and how her email list exploded to 15K email subscribers. Interested in earning a side hustle while having fun? Check out Flipping Blogs for Profit ($27), a comprehensive guide to blog flipping. You’ll learn my foolproof strategy I’ve used to flip 5 websites and earn more than $100K! This flexible opportunity is great for everyone: stay at home moms, college students, really anyone who wants to earn extra money or make a full time living online. Flipping Blogs for Profit by Jenn Leach of Coffee Hearted, is for you! Tailwind is the complete Pinterest & Instagram marketing toolkit for bloggers and small businesses. 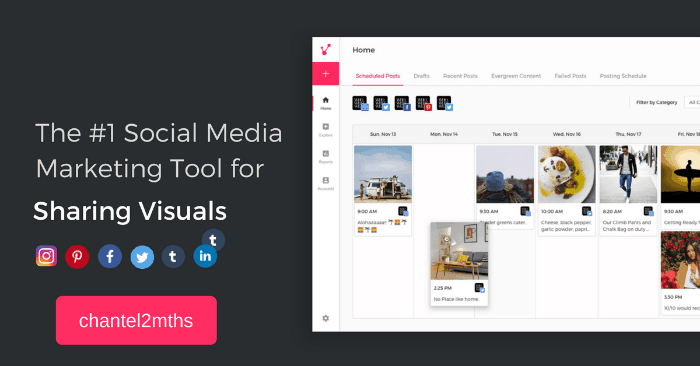 Easily schedule Pinterest & Instagram posts, monitor your success, and discover amazing content from like-minded bloggers all in one tool. The best part? Tailwind is a Pinterest Marketing Developer Partner and an Instagram Partner so you always know your account is in good hands! 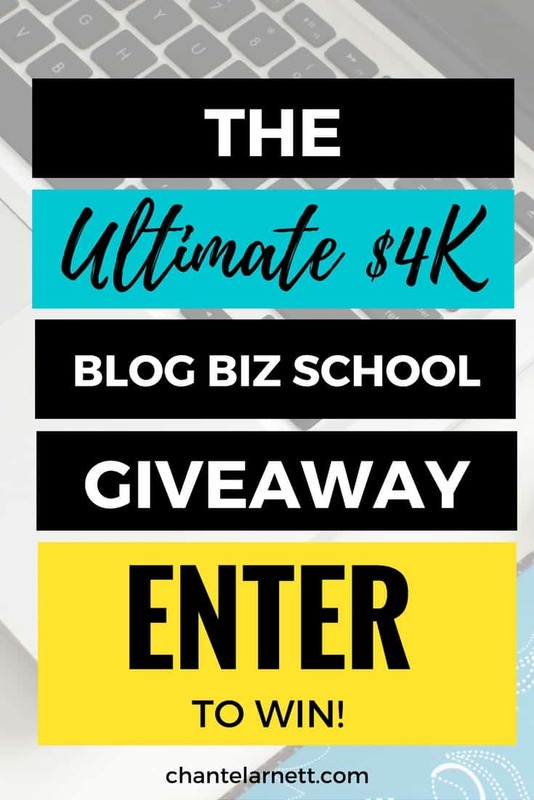 In this step-by-step, self-paced online course, you’ll learn everything you need to know to earn your first $500 from your blog and, from there, to make blogging your bread and butter income source. How to setup and launch a blog that’s strategically setup for monetization (if you already have a blog, you’ll skip the tech section but focus on the strategic setup stuff to be sure you’re ready to monetize). Includes worksheets, templates and step-by-step tutorials for you to use, download and implement that walk you through Eden’s exact monetization approach. Chic and budget-friendly stock photography for today’s female bloggers, entrepreneurs & creatives! Beautiful flatlays with chic feminine accessories. 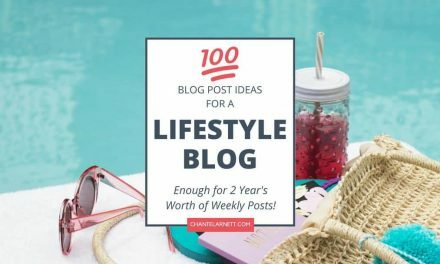 Whether you are looking for images for Instagram, Pinterest, Twitter of Facebook you can easily find images to use since you receive a coordinating variety of tall, horizontal & square images every month. Post Stock makes your business easier & prettier! Go ahead! Enter today – our fingers are crossed for you. And be sure to share using your unique referral link to earn extra entries and exponentially increase your chances of winning! P.S. Which prizes are you most excited about winning? Did you share to earn more entries? Leave a comment and let us know!